I’ve been shopping recently looking for the best children’s books for girls. Our daughter is almost six-years-old and I have read to her nightly since she was a baby. Besides the library, I’ve been looking for favorite children’s books at Barnes & Noble and Half Price Books. The bookkeepers have been super about pointing me at ideas, such as the best chapter books for girls. 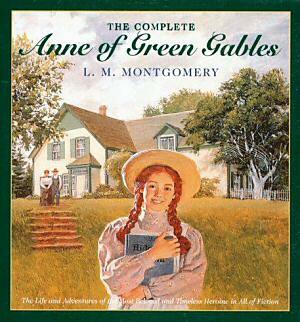 One I had not read that they mentioned was “The Boxcar Children” series, so I’ve added it to my list below. I’ve included other famous children’s books as well. What are you favorite books for girls? As a boy, I read a lot, and devoured books by Jules Verne and H.G. Wells. I was also quite fond of the Hardy Brothers. Makes me wonder if she might enjoy the Nancy Drew series of mysteries. You may have discerned a trend. I tend to like older books. That doesn’t mean, however, that I’d not consider new books. While no longer a “new” book, my daughter and I just finished the first Harry Potter book. She really wants me to start on the second one, but I’m worried it may be to scary? I assume the later ones would be much too dark? While worrying about Harry Potter being to scary, I read her the first of the Chronicle of Narnia books, as well as The Hobbit. Despite some less than child-appropriate content she wasn’t scared or upset by them, though I did do a little bit of editing while reading aloud. Here is a list of books I’ve put together to read our daughter this summer. What books to you recommend? Are there any in this list that you think might not be appropriate for a 6-year-old girl? I really appreciate your help and advice! We are of like minds. My son’s summer break is fast-approaching and I am also stocking up on books. He’s 7 so we’re doing the Magic Tree house books. He also likes anything about our solar system or dinosaurs. I’ve signed him up for a karate class too. Keeping them busy and happy AND off of electronics isn’t easy! 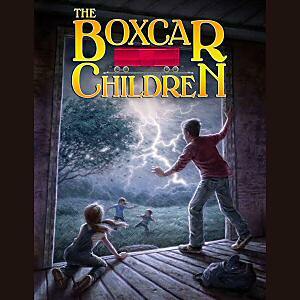 The Boxcar Children is a great mystery series that I loved as a kid. It definitely touches on some themes that MAY be too much for a six-year old (they were orphans taken in by their grandfather, if memory serves). It is handled well in the writing and their family bond always serves as a focal point. Since you are doing the reading: try the How To Train A Dragon series or the Percy Jackson series. Thanks so much, Mat. Someone mentioned this series to me just this weekend. The Boxcar Children sounds like it’d be good as soon as she’s able to do her own reading (she’s about to start kindergarten). I’ll check into How To Train A Dragon series or the Percy Jackson series. Are they very scary? I’m worried about too much negative/scary imagery causing nightmares and such? The Boxcar Children is written at about a second grade reading level, FYI. My kids loved them. I would be careful with Harry Potter; we avoided that as they did get darker and darker…, IMHO. Thanks so much for the suggestions, Dana! 🙂 We did read the Velveteen Rabbit, and of course A. A. Milne’s Pooh tales, but had not read his book of poems “When We Were Very Young” or its companion volume “Now We Are Six”. Must remedy that. And of course, who doesn’t love Paddington Bear and Stuart Little. Thanks again! Also “Now we are six” the other A.A. Milne poetry book! Thanks so much, Mary. I was just reading about those two books yesterday afternoon. Not sure how I missed them before now. Love Milne, so will definitely introduce our almost 6yo daughter. Thanks!